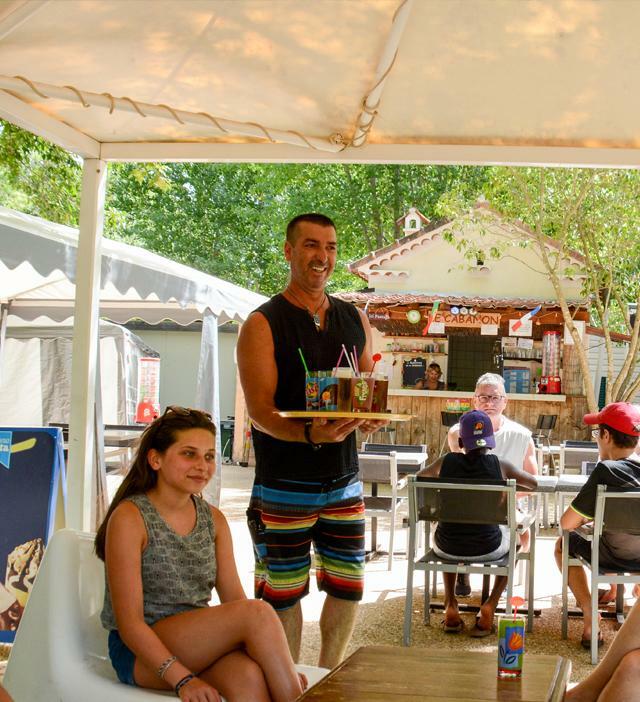 For extra comfort during your camping holiday in the Var, you’ll find a great number of useful services on site, to fully relax during your stay in the Provence Verte. The friendly and available reception staff welcomes you from 8.30 am to 12.30 pm and from 4 pm to 7 pm (in high season). You’ll find a warm welcome but also recommendations to explore the region, information about sites to visit, activities or to reserve a table. Feeling peckish? No particular need to take your car, as in high season, our snack bar "Le Cabanon" offers a small catering service. It is the perfect place to have a drink, enjoy an ice-cream or have a snack. For breakfast, you’ll also find bread and pastries here (to be ordered the previous day). The site offers a gas bottle service, a launderette area (washing machines) as well as Wi-Fi internet to keep in touch with your family, check emails or follow social media.